Businessman Unasa Tauheia Levaai is ready to shave it all for a good cause. The man from Siufaga and Samauga Savaii is representing the Samoa Marist Club, joining other men, women and children who have chosen to raise money for the Samoa Cancer Society’s ‘Shave, Save or Dye It’ fundraising event to be held this week. Unasa said that after meeting with the President and other representatives of the Marist Club, it immediately became obvious to him the importance of participating in this year’s head shave to benefit cancer patients. He feels privileged as a member of the Club to be in a position to intervene on their behalf. Unasa has agreed to shave his head at Taumeasina Resort on Thursday 28 June for the people of Samoa affected by cancer because he knows that this event will raise awareness and money for programs and services that make life during treatment less lonely and stressful for people battling with cancer and their families. He is also well aware that a head shave is a bold symbol that our shaves stand behind people with cancer, who so often lose their hair during cancer treatment. “Shavees let these people know that they are not alone, that they have a friend in their fight against cancer,” says Unasa. His head will be shaved by his former ‘Fight for Marist’ boxing opponent and active Marist Club member Tagaloa Snake Roebeck. 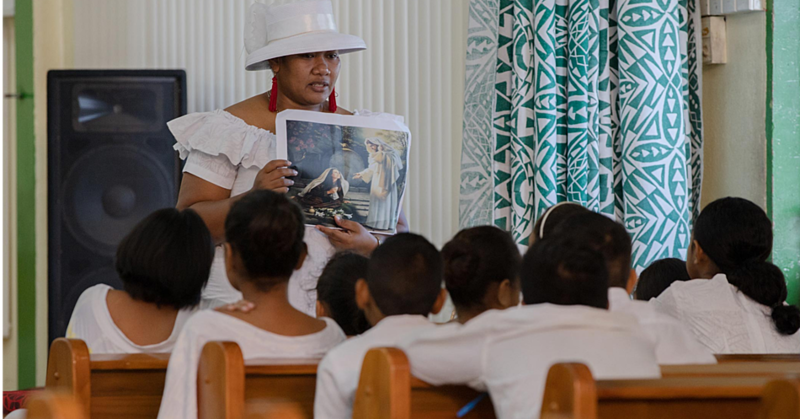 It was an idea the Club came up with to enlighten the public that Samoa Marist Club members are always delighted to step up and support any charity event for a good cause. 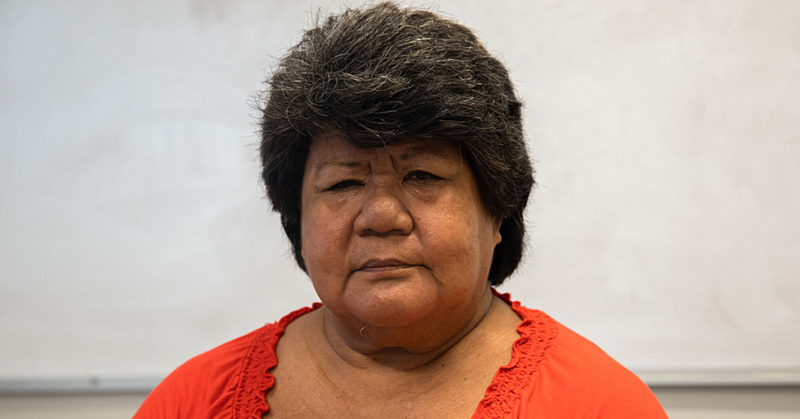 Unasa’s interest with people diagnosed with cancer started when his wife Joyce Roache-Levaai worked as a Community Nurse Consultant for the Samoa Cancer Society from January 2011 to August 2013. 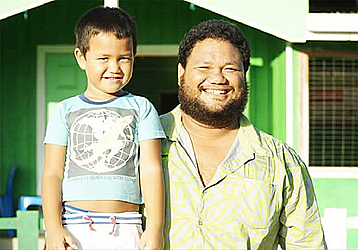 It was during this time that he became actively involved with the Samoa Cancer Society’s fundraising activities and even registered to become a member of the Society, but due to his busy schedules and migrating to Savaii on work purposes at the time, he stopped his involvement with the Society’s activities. He went on to say that further to representing all the Marist members and their relatives whose lives were lost to cancer, he also decided to shave in memory of his brother’s wife Fuapepe Moananu-Levaai who was diagnosed with cancer in 2013 and died that same year at the young age of 26. He is also doing this in honour of his wife’s sister Lizzie Roache-McFall who died in 2009 due to breast cancer plus three of her wives cousins whose lives were also claimed by this deadly disease. Unasa further mention that his wife’s brother is currently fighting with brain tumor. “I know participating in this event is by far the most humbling experience ever. I would tell others who are scared to participate to let go of that fear and embrace a feeling of helping someone in need. It is something you will never forget and forever be thankful for doing,” he said. “I’m proud to support this, it kind of feels good. At least after Thursday next week I can say ‘I did it’”. Unasa and the Samoa Marist Sports Club are actively seeking donations to support his heroic efforts by raising $1,000. To sponsor Unasa Tauheia Levaai please contact him on mobile #s 7770917 or 7637740 or Marist Sports Club President Faimalotumua Mathew Lemisio on mobile #7575980.